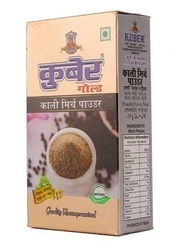 We are an eminent Supplier, distributor and exporter of a range of Black Pepper Powder. powdered pepper derived from grinding, may be described simply as pepper or more precisely as black pepper. Dried grounded pepper is one of the most common spices in European cuisine. It has been known and prized since ages for its flavor and used as medicine for number of health problems especially as an anti acid and for digestion. It is used in processed meats and also added to fruit cakes, ginger bread and light seasoning of fresh fruit. 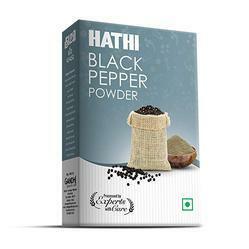 We are offering a comprehensive assortment of Black Pepper Powder. It is prepared from optimum quality black pepper seed. Our range of powder have high medicinal value as it cure from indigestion, heart disease etc. We cater our range to various clients spread across the globe. Fine ground and highly aromated black pepper blend with flour to give pungent flavour to your dishes.